With a large 15 litre capacity, stylish design and impressive performance, the Caterlite Coffee Percolator is the perfect solution for small scale, light duty catering such as retail outlets, mobile catering, staff rooms or home use. With twin-walled stainless steel construction, the Caterlite coffee urn is easy to clean and offers excellent insulation to save running costs. 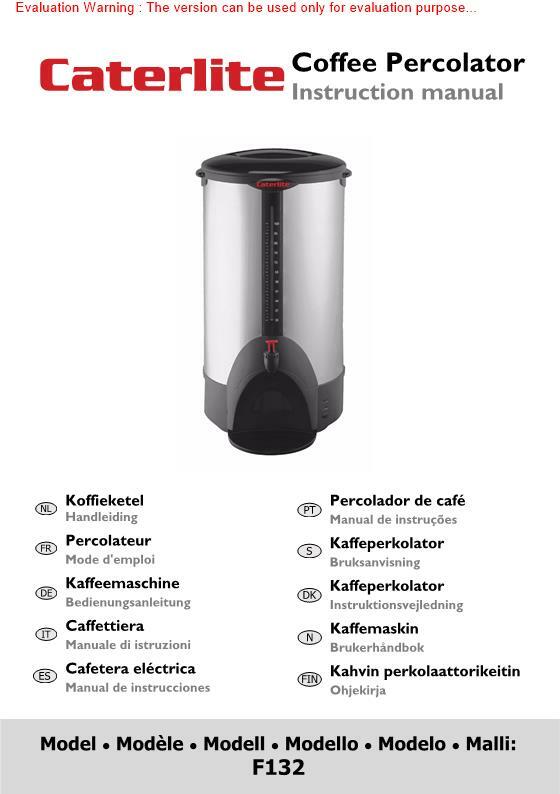 In addition, once ready, the percolator keeps the coffee at a constant, ready-to-serve temperature ensuring a perfect, delicious coffee every time.